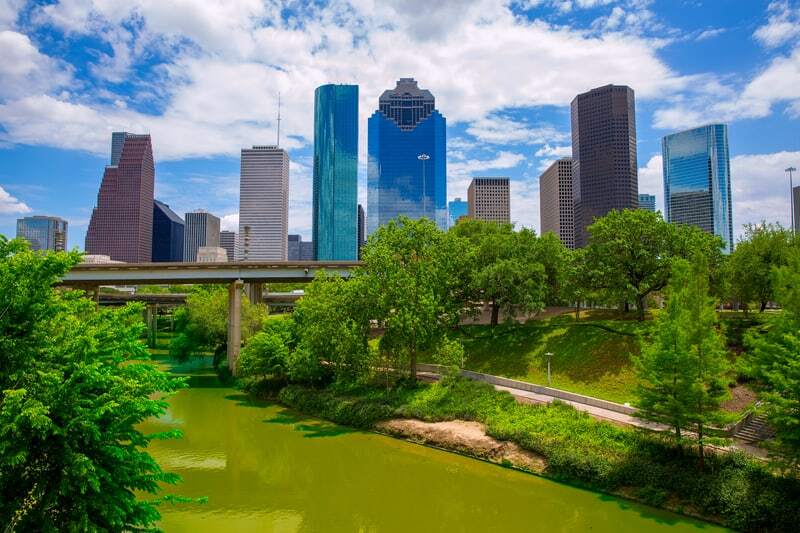 Houston, Texas is an incredible place to host a multinational conference, tradeshow or corporate event. It’s the largest city in the south and is the fourth-most populous city in the United States (led only by New York City, Los Angeles, and Chicago). The George Bush International Airport (IAH) allows direct flights from almost every major international city and the wealth of conference venues, combined with a mild climate, makes it an accessible location to host international events year-round. Once you’ve booked your venue, it’s time to secure the language services solutions that make guests feel right at home. We’ll make sure streamlined communication allows your brand’s message – both spoken and written – to shine above the competition. The conference interpreters and professional translators Chang-Castillo and Associates (CCA) have decades of experience assimilating their acumen with your information with word-perfect results. Contact us to learn more about our services, and we’ll share our a la carte deals as well as package offerings that ensure you have access to top-notch language services at competitive prices. We add yet another layer to Houston’s worldwide reputation for southern hospitability. Even fluent language speakers find it easiest to learn about products and services or to absorb high-level or technical information in their native tongue. When your prospects, clients, and colleagues must internally interpret words from English into their native language, it requires enormous internal energy and winds up being exhausting, especially if they have traveled to your event from afar, are tired and jetlagged; that detracts from your message. At least five years or several hundred hours of professional conference experience. Most of all, our interpreters are as dedicated to loyal partnerships with our clients as they are to their language. They’re committed to your event’s success and that commitment is evident in the effort interpreters put in to their work. We hope to learn as much as we can about your business, your brand, relevant event information and anything else we can to make our team feel like an extension of yours when communicating with your target audience(s). Contact CCA online, or give us a call at +1 (877) 708-0005 to discuss the ways our interpreters can support your efforts in Houston, TX! Whether you’re producing simple marketing brochures or highly-sensitive documents, it’s imperative that every word is accurately translated, and that the words land in a way that is relevant and respectful to the target audience’s culture. As American business language becomes increasingly casual (largely a product of the Internet revolution), it’s essential that your documents reflect the tone and voice best received by the culture you’re speaking to. CCA’s translators ensure the proper tone is used, and that the expressions, puns and/or idioms are converted into versions that make sense in the target language. The professional translation process here at CCA is truly as thorough as it gets. Every project we take on is overseen by a Project Manager, who serves as your liaison from start to finish. Within that timeframe, each page will undergo a three-stage process, where the information is translated, proofread and amended, and then finalized – including technical formatting support as needed. The result is an impeccable final product that will impress the target reader. Whenever requested, our translators can also help organize, track and disseminate translated materials with respect to your itinerary, to make sure the right materials are handed out or offered to the right groups or individuals, at the right time. This avoids any potential for embarrassing confusion on your end. Interested in learning more about our translation services and how they can support your upcoming events? Contact CCA and we’ll review your itinerary to put a personalized schedule and estimate together for you. If there’s one thing we’ve learned through our years of experience, it’s that even the most well-meaning venue organizers sometimes end up with poor-quality and malfunctioning equipment. Why put your global reputation on the line because of interference, static or glitches? CCA offers high-quality rental equipment for every interpreting engagement, including UN-style soundproof booths and interpreter consoles, as well as portable headsets and mics for presentations, demos and tours. We also have microphones, transmitters, and receivers, FM equipment, participant headsets receivers and more – all designed to optimize communication between you and the audience. All of our equipment is meticulously maintained and comes equipped with professional interpreters and on-site tech support so you’re never left in the lurch. We also provide teleconference services, which can be used at your event to include a client or prospect unable to make the trip. Or, we’ll bring those services to you in your home city, allowing you to foster and grow the professional relationships you’ve started in Houston. Our innovative, telephonic platform – combined with on-site tech support – means you can enjoy more personalized, “face-to-face” communication, using your presentation software of choice. Take your teleconference to the next level with professionally translated documents and a conference interpreter to ensure your words are conveyed – and understood – as you intended, and your multinational partnerships will flourish. Chang-Castillo and Associates looks forward to partnering with your company to provide an exceptional experience for your team – as well as the event guests – anywhere in the Houston metropolitan area, Texas, and abroad. We’ve built our reputation around being the platinum standard for language service solutions – and we’re excited to show you why!